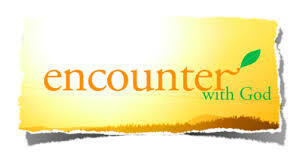 Believe me….one divine encounter can change everything! It was the time when my husband and I were searching a house to purchase. Each day, mind revolving around a house and every night sleeping with a dream of the same. A process starting from searching, managing the finance till paperwork…uffff.. Not at all that easy! It was 9 pm of a chilled night when we, the couple entered a coffee cafe on a highway after a long hectic day. We occupied an open space to sit and ordered two hot cappuccino. With sips of coffee under the chilled breeze we were discussing which the best house is, how to pay the heavy down payment of 14 lakhs and are we taking the right decision. Completely puzzled. While in conversation, my eyes turned towards my wrist watch which was displaying both the needles at one place on the top. I was bit surprised. Three long hours have passed. “hmmm”,he nodded, paid and we came out. As we were out, a man who was looking like a balloon seller pleaded to buy a balloon to nobody, but to us. “We don’t have anyone to play with it.” I said jokingly and ignored but he kept begging just to buy one. Something in him was displaying extraordinary characteristics that were making him exceptional. “Come Ranu, sit on the bike” Himanshu said as he ignited his bike. “We should have purchased a balloon from him.” Himanshu said. “If we can afford rupees 400 on two cups of coffee and a tip of rupees 20, buying a balloon wouldn’t have caused much to us. After all he wasn’t begging, he was convincing us to buy. “He added. “I totally agree.” I replied and we turned our bike back. This whole lot of conversation would not have consumed more than 2 minutes and we would not have moved more than a quarter of the km away from the coffee cafe. We reached back to the place in a minute or two but that man was not there. We looked here and there but he was not visible through and through. We wondered where he would have gone in a minute’s time on a straight highway where there is no short cut and that too on his old bicycle. Without wasting a fraction of second, we zipped our bike in search of the balloon man. somehow unlike me, who rarely prays, who has anytime not been very close to God, who just has a feel that there is a superpower but still not sure that the superpower is the God, started thinking that,’ was he the God’s delegate to judge us? God has always helped us but was this the time when he wanted us to help somebody and we didn’t? Or was he the same whom I know as the superpower. Who he was? I was perplexed and so was Himanshu but we kept moving the bike to find him. After 10 minutes of straight drive, far away we saw a bunch of balloon in the air. It was the time of sheer pleasure. We moved forward with a hope to find the same boy but alas, he wasn’t there, in fact there was only a bunch of balloons flying up in the sky. We looked at them; they were going up and up, may be in search of their destination but our destination was still concealed. We moved our bike straight again and within few minutes our hope turned into excitement when we saw the same man with his balloons and bicycle. I was tranquilized after seeing him. “ek balloon hamein bhi de do.”Himanshu almost urged. “haan haan ,kyu nahi.”man smiled and said. Man picked the said balloons from the bunch and handed over to me with utmost happiness. Himanshu turned back and we exchanged glances; may be just to say that sometimes it’s good to be original and not under the influence of man-made adulterated world. “Change rakh lo.” Himanshu said as he gave a 100 rupee note to him. Now with 5 balloons in my hand, my eyes twinkled with merriment. We took U turn and headed towards the home. Just after taking a turn, don’t know how and why we both looked at the adjacent road; balloon man was still there, looking at us with a sparkling flash, he waved his hand openly with an angelic smile that touched our hearts .After few seconds ,I again turned back to get his last look and many times even after ,but he was disappeared like a ghost or God. We came back to home and I decorated my bedroom with those balloons. As I ended the call, last night’s memories of a balloon man captured my mind. Still I am confused or even more confused that who he was? May be a simple balloon seller who has an art of cycling faster than a bike or may be the superpower, the God himself who helped us today, just the way we helped him last night; may be a favour of rupees 20 mattered to him, just the way rupees 14 lakhs mattered to us ? I really don’t know but somehow now I have created the God’s image on my own mind. I have realized that when solution is easy, God is answering. We see God everyday but we don’t recognize him. At many times, I have asked: How should I relate to God? I believe this is life’s greatest question and I am happy god gave me an opportunity to find an answer to my question. I wish, I could request ‘the balloon man’ to stay in our new house forever though however he will stay in our hearts till the doomsday!! This entry was posted in Article and tagged Encounter with god, experiencing god, felt existence of god, god, God or ghost, personal encounter with God, personal experience, Real life experience! by ranubhatt. Bookmark the permalink. ← Previous Previous post: Unfinished love…..!!! Next → Next post: 15 must to know tips for a newly married couple.